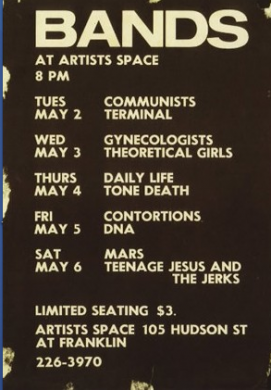 Pat Ivers and Emily Armstrong are sifting through their voluminous archive of punk-era concert footage as it’s digitized for the Downtown Collection at NYU’s Fales Library. This week: a look back at DNA. “How dare you play your guitar like that! 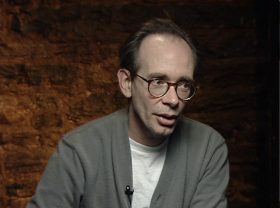 Don’t you know that’s the same instrument that Eric Clapton plays?” Audience members were often quick to share their dissatisfaction with the screeching dissonance that Arto Lindsay wrung from his instrument during a feverish set. So whenever his no wave band DNA finished up, Lindsay was sure to pack up quickly. The son of missionaries who moved to Brazil to spread The Word, Lindsay seemed an unlikely candidate to blaze through the Downtown scene as one of its most adventurous and experimental musicians. Fronting bands like DNA and Ambitious Lovers and collaborating with the original Lounge Lizards and the Golden Palominos, he had a quirky guitar style that was unlike anyone else. He punched a hole in the idea of what his instrument could do. Lindsay rushed out and called his friend Ikue Mori. Neither of them could play, but he encouraged her to try percussion. Next to join was Robin Crutchfield, a performance artist whose work had impressed Lindsay. After only a few rehearsals, DNA debuted playing a confrontational set: lots of stops and starts, very loud, then very soft. “They were songs based on ideas,” Lindsay said. A scene began to coalesce around them as other musicians like Glenn Branca, Rhys Chatham, James Chance and Lydia Lunch all began pushing on the edges of what a song could be. They released an EP, A Taste of DNA, in 1981 and toured America. “We played the West Coast a lot so they knew us,” Lindsay said, “but then we did places in the South and the Midwest. We even played in a pizza parlor, once.” At an Austin date, when a beer was accidentally kicked from the stage and an already huffy crowd was destabilized, writer Lester Bangs had to throw himself between the audience and the band. 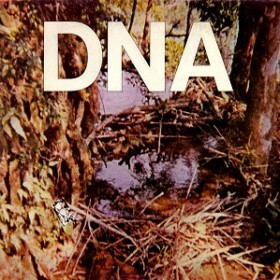 DNA broke up in 1982. It was time to explore other avenues of expressions, other scenes. Arto continues to play, focusing more on his Brazilian roots with his solo releases like O Corpo Sutil, and Mondo Civilzado. As a producer, he earned a Latin Grammy for his work with Marisa Monte. He’s also active in the field of sound art, both as a curator and installation artist. “I’m still trying to figure things out,” he says. Ikue Mori also performs and composes, collaborating with artists like Kim Gordon and Thurston Moore and in Hemophilliac, a trio with John Zorn and Mike Patton. She likes to think of her laptop as her primary instrument.